Avicii’s music is the soundtrack to my teenage years. He was one of the artists that made me fall in love with house music. To his music I cherish some of my most beautiful memories. He will forever be missed but I’m sure he will never be forgotten. With his music he left footprints in the hearts of so many. He broke boundaries and laid the foundation for what house music is today. I wish I had known him since he seemed to be such a wonderful person. He has left an empty hole behind in my heart. 500 characters is not enough for me to express how much love I feel for you. You’re in my mind each day, Tim. I’m listening to ‘Dear Boy’ and still crying tears for you. We all miss you. You’re talented, beautiful both inside and out, a star looking over us. Your music will be the best to ever be played on this earth, your laugh and smile will never be forgotten and your pure spirit will never leave us. You continue to make me happy, cry, smile, fulfilled. You’re my favourite angel, forever ❤️. This guy, with his music, has walked beside me when I was at the Secondary School, and still walks beside me even today that I am 18. Tim, we will never forget you, you gave a lot and you will be forever respected and honored as you deserve! My first encounter with Tim's work was in the backseat of my car. I had an 2 hour trip ahead of me and I came across levels (shuffling trough spotify) The song was just mind blowing! I put it on repeat, listened to another track and put levels back on repeat again. No joke! I was a big fan of songs like "snus" and "alcoholic" back in the day and when I realized that the mind behind all these songs where the same person, I knew he could do nothing but succeed. Thanks Tim! You're not just a musician, you're a hero. You made us laugh, cry through your music. You lifted up our emotions through your music. Earth will miss you. I Cant Tell where the Journey will end, But i Know where to Start. Scrivo in italiano per esprimermi al meglio.. Quando ho saputo che Avicii era morto ho sentito subito una sensazione di vuoto. Sapevo già quanto mi sarebbero mancate le sue canzoni e i suoi testi pieni di valore e così fuori dal comune per persone di successo come lui. Sarà difficile colmare questo vuoto. Ma come diceva Avicii in Broken Arrows bisogna continuare a seguire la luce e non perdere la speranza. Vivrai sempre in me e ti ricorderò nel modo migliore: tramite le tue canzoni. Mi manchi. I have only just heard the terrible news because in April and May I was cycling through Africa, a trip that was partly inspired by my favorite Avicii track "The Nights" and the lyrics of "Live a life you will remember". I was doing my very best to live that life! Such a terrible loss to all music lovers but especially to your family. 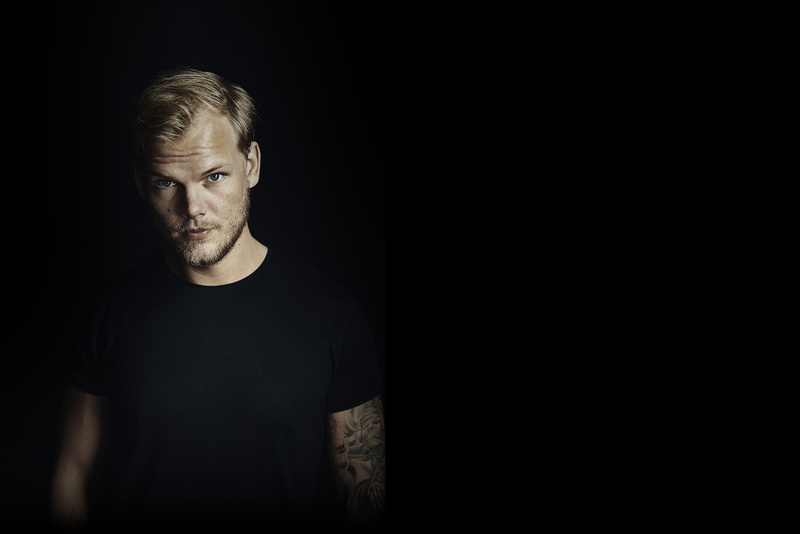 Rest in peace Avicii, I will always remember you and live a life to remember. Thank you for creating such inspiring music. You and your music will be remembered Forever. You were A great artist and a wonderful human being. Dear Avicii i find you as my inspiration of how to be a good man, genuine and hard working. Through your story i've learnt that in this crazy life we need also get rest, fun, love and see all the beauty in this world! I'm really sorry about your struggles, because i feel like you deserved all the best. I will forever cherish the moment when i first heard your song. Thank you for all your beautiful melodies and rest in peace My Dear. In a sky full of stars. Till we meet one day. Знаешь, Тим, видимо ты так и останешься моей мечтой за которой я буду гнаться вечность. Мне очень жаль, что я не смогу пожать тебе руку за все то прекрасное, что было создано ею. Мне жаль, что несмотря на оглушительный успех и народную любовь рядом с тобой не было человека, которому ты бы мог показать свои скелеты в шкафу. Сейчас, когда уже все люди понемногу свыкаются с мыслью, что тебя больше нет горечь потери лишь усиливается. Очень по тебе скучаю. Господь забрал тебя слишком рано, брат. Everytime I listen to his music, it's like he is around. I didn't know him in person but I think that one part of of me lives for him now, he will live in everyone of us. Your heavenly music was –and still is– a blessing to the hear. It is your legacy and we will make sure it survives your passing for as long as possible. The whole EDM family will deeply miss you Tim, as a person, as a dreamer, as an artist, as a creative mind. We will also miss your fabulous melodies and your mindblowing summer anthems. But we will never forget Tim Bergling aka Tom Hanks aka Avicii aka AVĪCI. Never. Thank you for every (heart)beat! I will never him. I miss him, every time I hear his songs, I miss him even more. I realy muss him♥️ R.I.P. You are a legend. Legends never die. Tim was the best producer in the world, but sadly he past away on the 20th of april. But his music is still alive. RIP TIM BERGLING LEGEND FOREVER! Thank you for your music Tim.❤ I hope you're in a Sky full of stars.🌟 REST IN PEACE!!! simplemente le amaba, amaba su musica, le amaba como persona, como artista. ... es unico e irrepetible. Te echo de menos siempre, cada dia. Your music made us everyday happy. Now it's your time to find happiness...Wherever you are we won't forget you! You and your music are part of the world history. Forever Avicii. You were the greatest. Thank you for bringing me into this world and for all the JOY. Legend. It's veey Sad to the time i Fallen in love with His best music, awesome Melodies and Very Meaningful Song lyrics..... Then he passed away....but He still in our Hearts.. RIP genius. Avicii is the reason I started loving edm music. His songs are melancholic yet so hopeful and uplifting –and I need them now more than ever. Tim, thank you for all the beauty you brought into this world. I will never stop being grateful to have lived at the same time as you and the ‘Avicii Era’ and I will forever look back on it with an infinite amount of love and happiness (and a hint of pain). I love you and miss you with all my heart, and I hope you are happy –wherever you are. Vila i frid. He was the reason I started making music. Avicii was a great singer and he makes a lot of hits! He Will Be forever in My memory’s and in My heart! Tim was he who gave me the impulse to start producing music. Thanks to him I am still now with the person I love. Thanks to his music I cried, I laughed, I got goosebumps and I dreamt. And it will be forever. Thank you Tim. I have been silent for 1hour when I heard the news from his dead. Tim is in our hearts forever!